Entering TD Garden with their backs against the wall, the Boston Celtics got a massive lift from the team’s longest tenured player in Game No. 5 against the Washington Wizards. 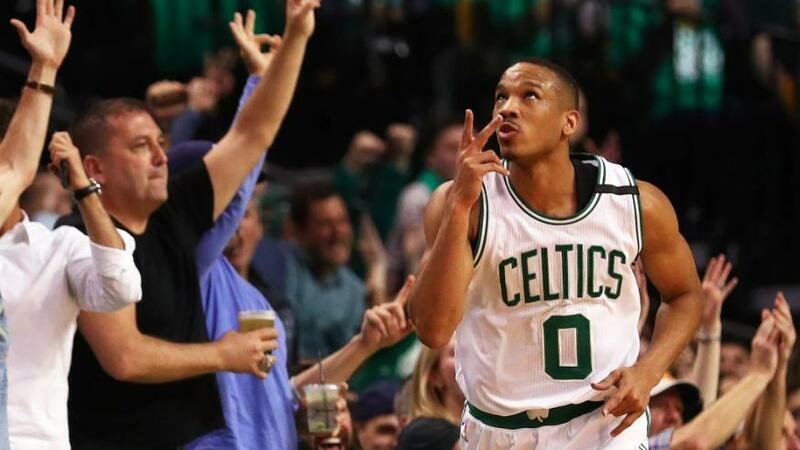 Shooting guard Avery Bradley helped propel the C’s to a 3-2 series lead with an outstanding performance in a pivotal home game for Boston. Prior to Game No. 5, Bradley had largely been a disappointment for the Celtics throughout the series. Though he held his own defending Wizards’ star John Wall, Bradley struggled to contribute offensively. The former 19th overall pick shot a mere 33% from the floor during the series’ first four contests. Bradley was unable to cash in on numerous open looks and it cost the Celtics, especially during their two road games in Washington. During those games, Bradley averaged a 29.8% shooting clip and had almost as many turnovers (four) as field goals made (five). However, Bradley flipped the script on his poor play as the Eastern Conference Semifinals returned to Boston. He exploded for a career playoff high 29 points on an outstanding 63.2% field goal percentage. The University of Texas alum went 12-19 shooting, including 5-7 from three point range. In addition to his superb shooting display, Bradley also added six rebounds and three assists, all while keeping Wall in check throughout the contest as well, holding the All-Star to 7-17 shooting on the night. If there is one thing that Boston has learned during the series against Washington, it is this: Isaiah Thomas cannot do it all. There is no question Thomas is the team’s most gifted scorer, but counting on him to drop 30-plus every night is not what a legitimate contender would do. Players like Bradley will need to keep stepping up in order for Boston to advance passed the Wizards, let alone battle the Cleveland Cavaliers who remain undefeated in the postseason this year.